DAYLILIES FOR A DAY TRIP. It wouldn't be Grace's Garden if we didn't take a few moments to stop and enjoy the flowers! Just outside the Martin Guitar Factory in Nazareth, Pennsylvania lies a lovely little garden that delights the senses. 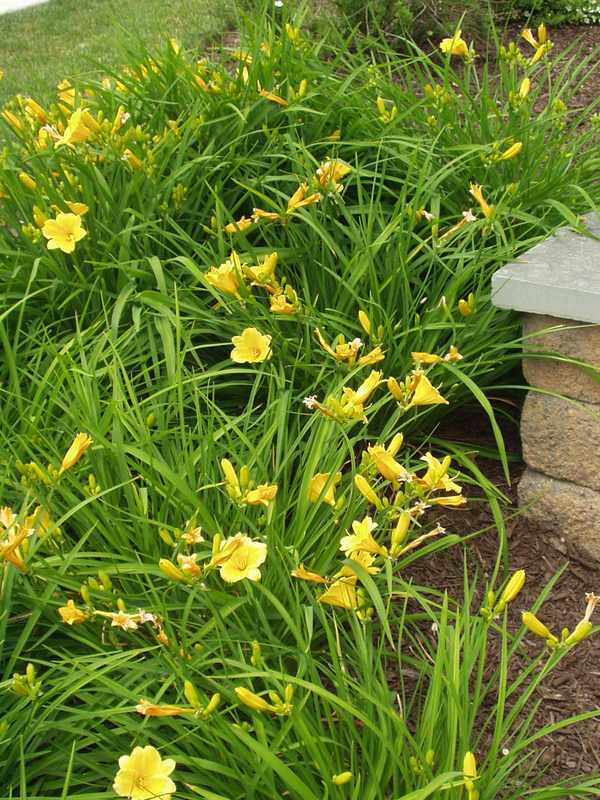 Several different varieties of flowers and shrubs welcome visitors in style, but the bright, golden daylilies seem to do their best to steal the show! Comfortable benches and attractive rock walls invite guests to linger and enjoy the scenery, which includes very pretty grounds, with fresh green grass and many trees. What a bonus for the garden lover, and all this was only a day trip away!